Front view of an eastern facing Spectra showing beveled glass, brass shadowcaster, etched shadowfield, and cast stone base. 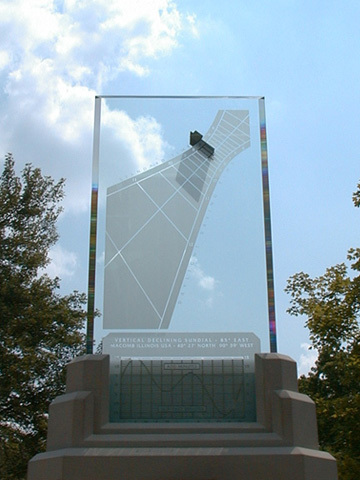 Individual sundial information, place location & coordinates, and personalized inscriptions are included above the time chart. Date lines run diagonally the entire length of the shadow field.